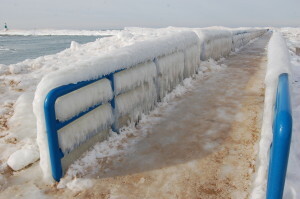 We may not have as much snow on the ground as we did at this time last year, but winter is on its way and will no doubt bring with it the crazy mix of weather that Michigan residents have become accustomed to. Our state is an outdoor recreation paradise with world-renowned beaches and dunes, and in winter it becomes an amazing place for skiing, snowshoeing, snowmobiling and more. In addition to all of the things the outdoors will offer, there are plenty of great events taking place inside museums, arenas, convention centers and more from December to February. We’ve been happy to share A to Z lists for the Spring, Summer and Fall, and now we’re happy to share our list of 26 Things To Do in Michigan This Winter, an A to Z guide of great places and events to help keep your winter exciting! 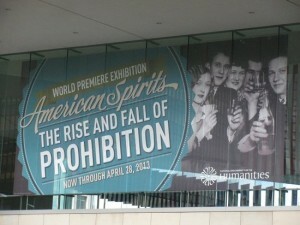 American Spirits Exhibit at Grand Rapids Public Museum – Michigan continues to cement its reputation as one of the go-to beer destinations in the country, but there was a time when any alcohol being served had to be served illegally. 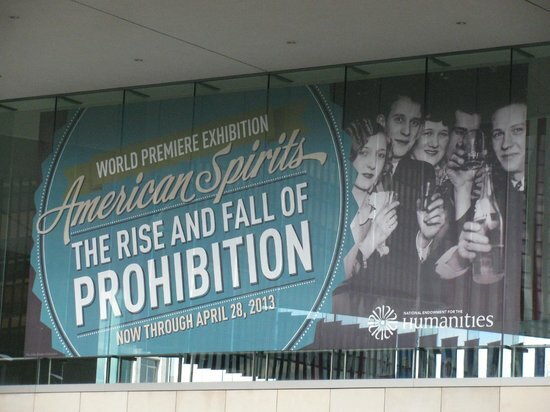 The “American Spirits: The Rise and Fall of Prohibition” exhibit at the Grand Rapids Public Museum features historic artifacts and interactive displays that show what things were like here and across the country in the 1920s. The exhibit runs through January 17, 2016. 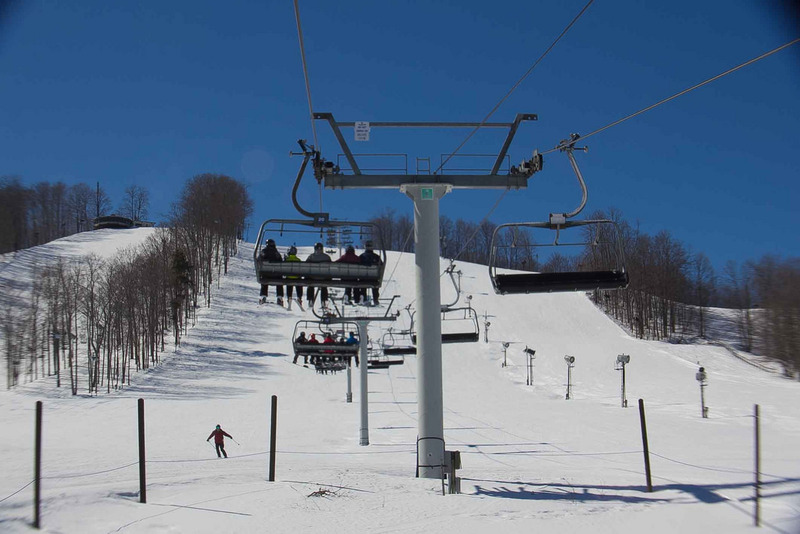 Boyne Mountain – A Michigan legend due to its well-groomed ski hills for all skill levels, Boyne Mountain offers quite a few other activities in the winter. They also offer tubing, cross country skiing, snowshoeing, snowmobiling, horseback riding, outdoor heated pool swimming and hot tubs, and a variety of lodging options. Pack up the family, grab the skis and snowboards and head to Boyne Falls, where Boyne Mountain can be found off of US-131 just south of town. 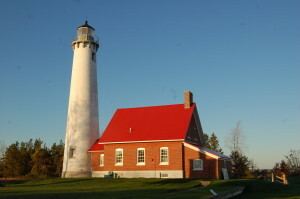 Christmas at the Light (Tawas State Park) – During the winter season Tawas State Park sees only a fraction of the visitors it is used to in the summer months, but those who brave the weather are treated to the lighthouse being decorated for a Victorian Christmas. The Museum Store offers warmth and holiday sale specials, and trees are lit up from 5 p.m. on each night into the new year. 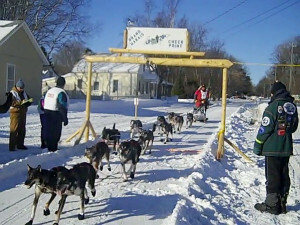 Dogsled Races – From Feb. 11-16 (2016), mushers will take part in the UP 200, The Midnight Run and the Jackpine 30; dogsled races that draw some of the top competitors in the Midwest. Crowds of onlookers watch as the UP 200 gets started in downtown Marquette, and there are many spots to view the race’s progress as the course heads to Grand Marais before returning to Marquette. Find a helpful viewing areas map and directions at http://up200.org/viewing-areas/. Eben Ice Caves – The Rock River Wilderness is a great place to visit in the summer (it’s home to Rock River Falls), but in the winter it becomes a paradise for cross-country skiers, snowshoers and those looking for a spectacular Upper Peninsula attraction: the Eben Ice Caves. The caves here get curtained with icicles up to sixty feet tall, and you can even climb behind them. 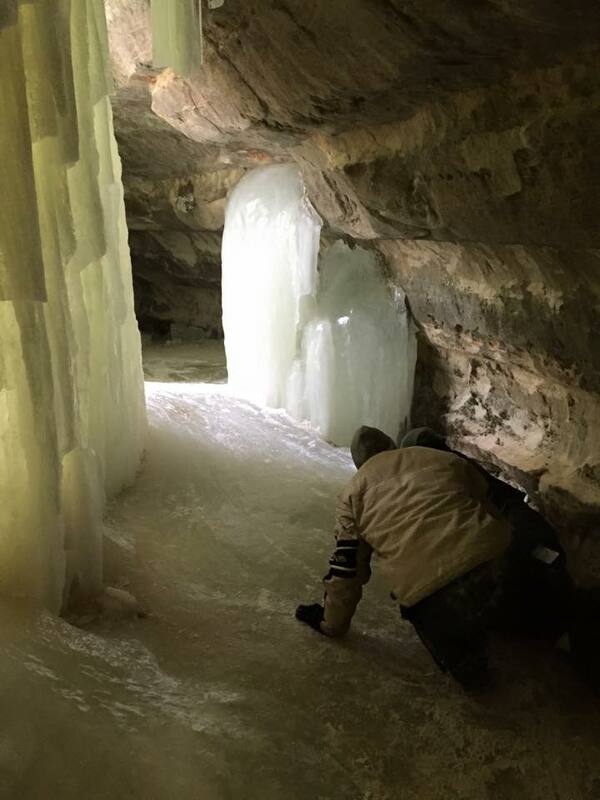 Check here for good detailed directions, and stay up to date with the Eben Ice Caves Facebook page for current conditions. Thanks to Derek Jaromin and Jordan Kimble for the photo. Frederik Meijer Gardens’ “Christmas and Holiday Traditions Around the World” – From now until Jan. 3rd, “Excitement surrounds this time of year as the annual Christmas and Holiday Traditions Around the World exhibition brings the glow of 300,000 lights, strolling carolers, rooftop reindeer and more than 40 international trees and displays.” A special feature this year is the addition of replica buildings from Grand Rapids’ five sister cities to the model train and Railway Garden. Located on the East Beltline north of I-96 in Grand Rapids. Great Wolf Lodge – It may be cold outside, but it’s always warm in the pool area at Great Wolf Lodge, one of Michigan’s best waterpark resorts. There’s endless things for kids of all ages here, and parents might find some time to relax. Enjoy water slides, hot tubs, several pools, a lazy river, interactive games and character appearances during your stay. 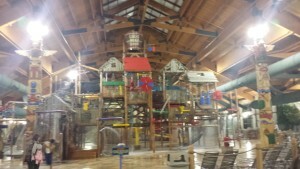 Located on US-31 in Traverse City, Great Wolf frequently offers seasonal specials – more info at https://www.greatwolf.com/traverse-city. 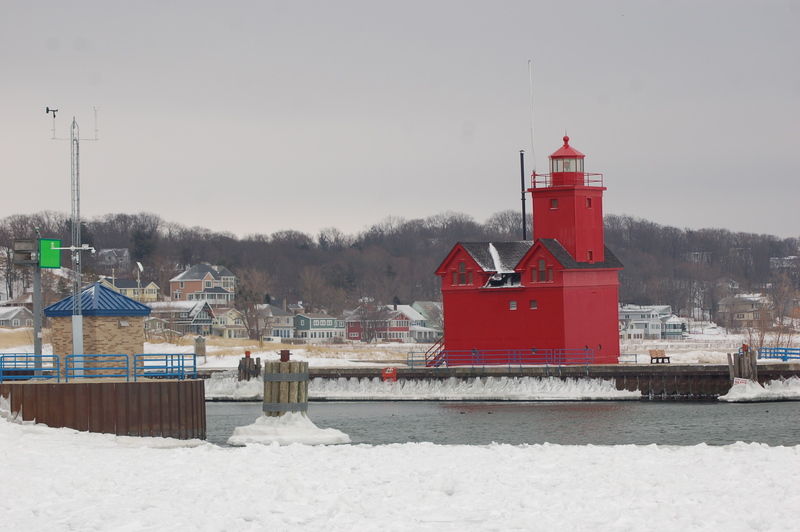 Holland State Park – The iconic “Big Red” Lighthouse and a stunning stretch of Lake Michigan shoreline make Holland State Park a favorite destination in the summer, but consider making the trip in winter as well. 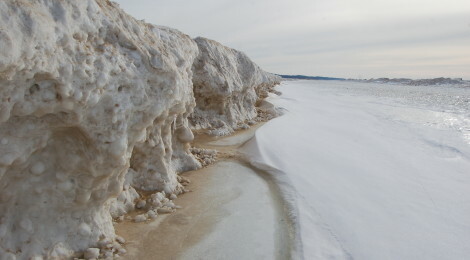 A background of snow and ice only makes the lighthouse stand out more, and the wind blows the sand and snow into interesting formations along the beach. 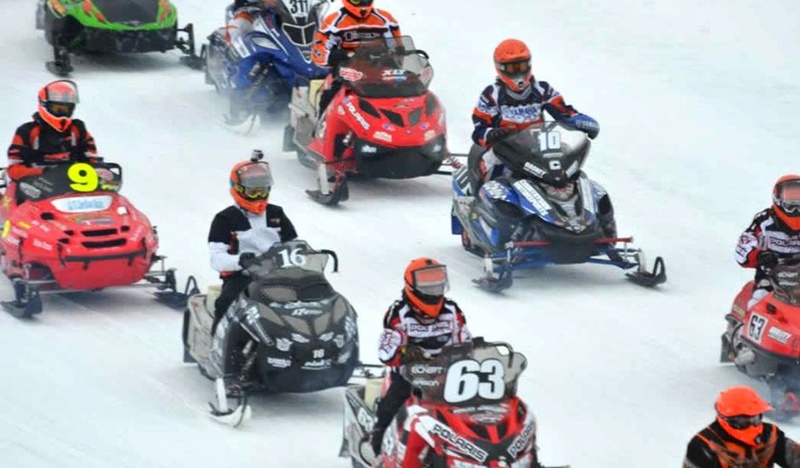 International 500 Snowmobile Race – Sault Ste. 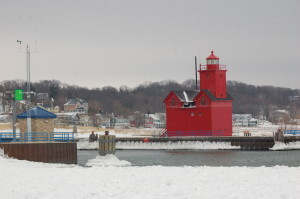 Marie, Michigan is host to the world’s longest and largest single-day snowmobile race in the world. Riders come from all over the country each winter to race 500 miles in front of a crowd that can reach close to 10,000. The race has been held since 1969 and will next be held February 1-6 (race on Saturday). The week-long event features qualifying, live entertainment, manufacturer displays, shorter races like the Rookie Round Up, local beer and food, and more. Jingle Bell Runs on Dec. 5 – Grand Rapids (5K, 1K, kids run), Detroit (10K, 5K, kids run) and Port Huron (10K run, 5K run, 2K walk) will each host a Jingle Bell Run on Saturday, December 5th. Race details and registration information can be found on the Running in the USA calendar here. 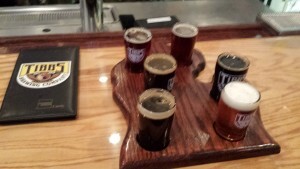 Kalamazoo Beer Week 2016 – This will be the sixth year for this celebration of the beer scene in Kalamazoo. Look for many special events including beer and food pairing dinners, tap takeovers, and limited release brews. Last year we visited Gonzo’s BiggDogg Brewing and Tibbs Brewing, and we also recommend checking out One Well Brewing. 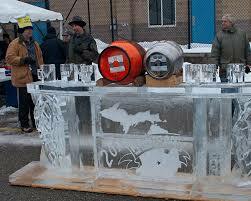 January 16-23 is a great time to head to Kalamazoo, and start working on filling up your “Give a Craft” beer passport. Labatt Blue UP Pond Hockey Championship – Michigan is a state that’s crazy about its hockey, and the Labatt Blue UP Pond Hockey Championship celebrates the sport at its purest. 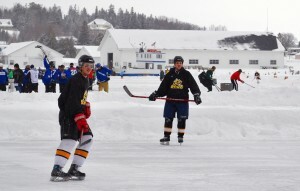 The frozen-over waters of Lake Huron in St. Ignace provide a great setting for this tournament, which takes place February 11-14, 2016. New additions this year include a team beard contest and a doubles ice tennis competition. Thanks to Rick Curtis for the photo. Meijer State Games of Michigan Winter Games – The Meijer State Games have proven incredibly popular and have drawn athletes from across the state, and this season’s Winter Games will take place February 19-21, 2016. Events include archery, basketball, bowling, skiing, snowboarding, snowball softball, karate, luge and more. 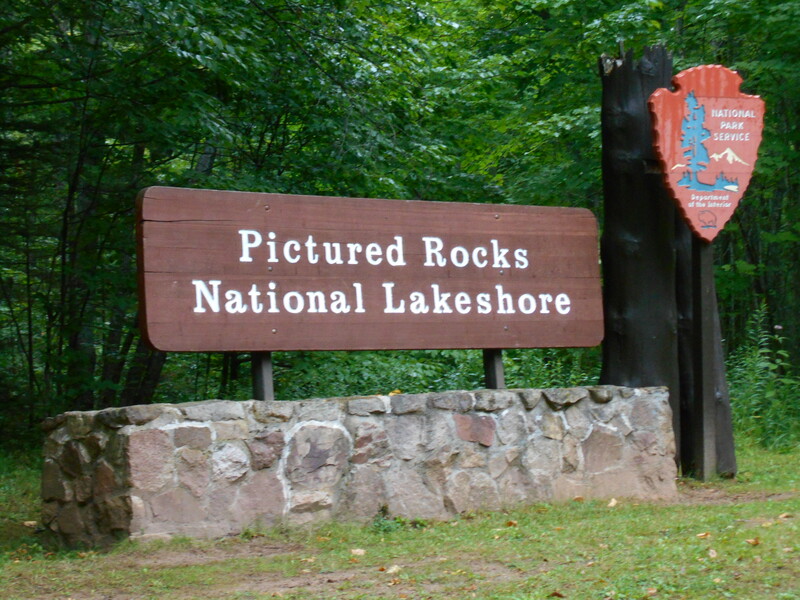 host sites include Cannonsburg Ski Area, Muskegon’s luge track, Riverview Athletic Club, Cornerstone University and others. For full details check out the state games website at http://www.stategamesofmichigan.com/. North Pole Express – The North Pole Express is a Michigan steam train that departs from Owosso, makes a one hour trip to Ashley’s Christmas Village, lets passengers enjoy two hours of holiday fun (shopping, Santa, food and more) before returning to the station. 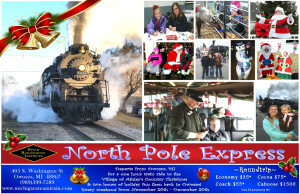 For a schedule and a look at the different ticket options, visit http://www.michigansteamtrain.com/npe. 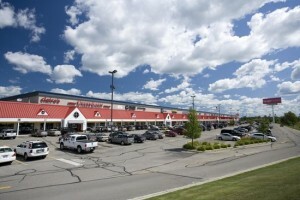 Outlet Malls – Michigan shoppers have some great choices when it comes to outlet mall shopping. Tanger Outlets operates complexes in Howell, West Branch and Grand Rapids, there’s the Great Lakes Crossing Outlets in Auburn Hills and the Birch Run Premium Outlets just off I-75 near Frankenmuth. The Tanger Outlets in Grand Rapids opened at the end of the summer, and has been very busy in the months since then (if you’re headed there check out our list of things to do nearby). 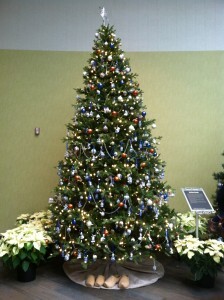 For Christmas shopping, these centers are hard to beat when it comes to selection, variety and value. Pictured Rocks Ice Climbing – Once temperatures drop in mid-December, Pictured Rocks National Lakeshore becomes an ice climbing destination that draws visitors from around the country. 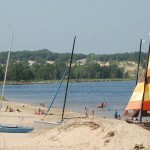 Popular spots include Sand Point (20-50 foot ice curtains) and Miners Falls (40 feet). 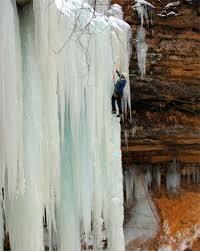 More information can be found at http://www.nps.gov/piro/planyourvisit/iceclimbing.htm. Quiet Water Symposium – You’ll have to wait until winter is almost over (March 2) for this one, but there is no better time than when the snow starts melting to think about getting out on a lake or river by spring. 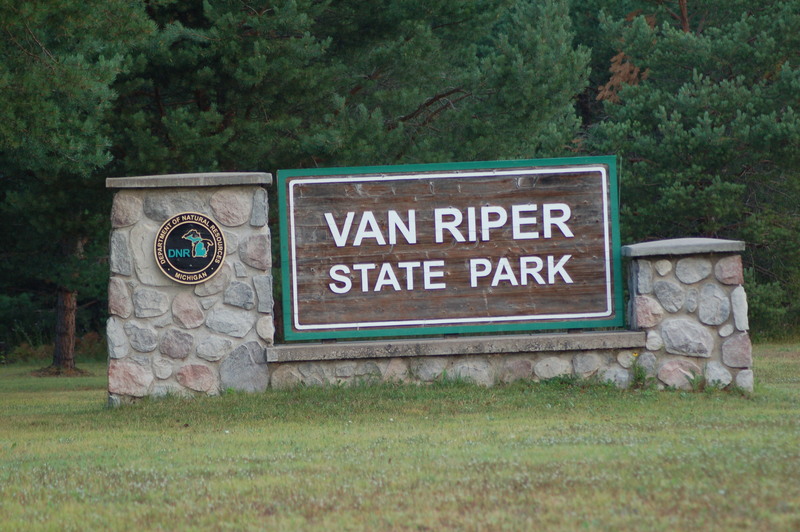 The Quiet Water Symposium is held at Michigan State University, and is a celebration of Michigan’s non-motorized recreation opportunities and conservation efforts. Exhibits on hand will help you learn safety, outfitters will be there to help you pick out your gear and speakers and authors are brought in for presentations. 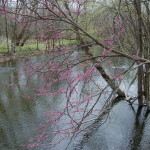 You can find more information at http://www.quietwatersymposium.org/. Rock Out with December People – A classic rock “supergroup” featuring members of Boston, Sammy Hagar Band, The Tubes, Ambrosia and several other bands, December People performs Christmas songs in the style of favorite classic rock bands. They’ll be in Saginaw on Friday, December 18th (Dow Events Center) and in Port Huron on Saturday, December 19th (McMorran Place). 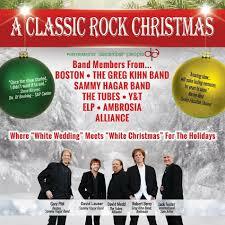 After that you can catch them in Grand Rapids at DeVos Place on Monday, December 21st. More info at http://www.decemberpeople.com/index.html. Guests are encouraged to bring a canned food item for local food pantries and a portion of ticket sales will be donated to local charities. Snowmobile on more than 6,500 miles of trails – Two major factors help make Michigan a great place for snowmobilers each winter: we average more than 100 inches of snow and offer an almost endless supply of varying terrain. Popular areas include Gaylord, Cadillac, Grayling, Drummond Island and Mecosta County. 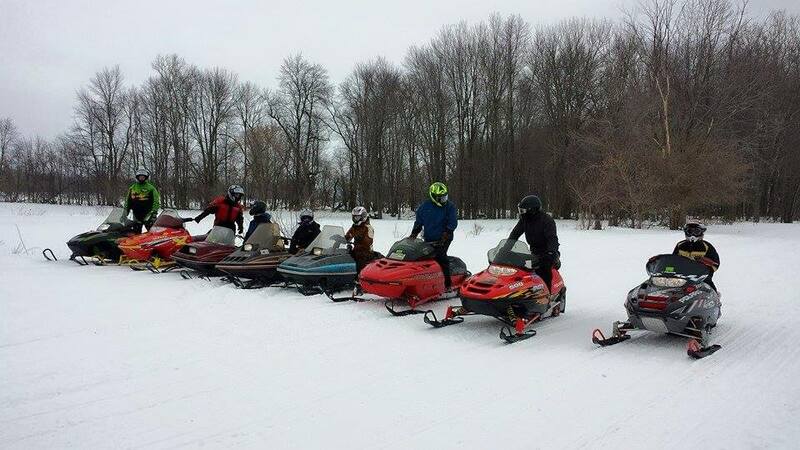 Thanks to Derek Jaromin and Jordan Kimble for the picture from their trip to the Upper Peninsula. 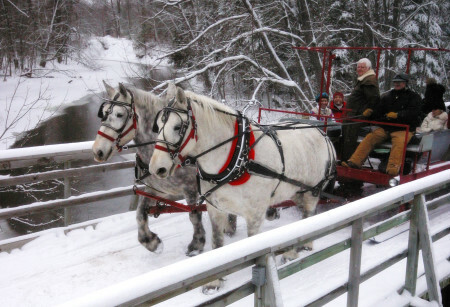 Thunder Bay Resort’s Elk Viewing Sleigh Ride – Located between Gaylord and Alpena on M-32, Thunder Bay Resort is a popular destination all year as visitors flock to the nearby golf courses. In the winter, they offer an experience so spectacular it was honored by USA Today as a Top 10 Event. Visitors have a chance to view majestic elk while being escorted on a horse-drawn carriage before stopping at a cabin where a warm fire, wine and gourmet meal await. The resort offers a variety of lodging options or the elk viewing sleigh ride can be a stand-alone option. More details and pricing: http://thunderbayresort.com/elk-viewing/. 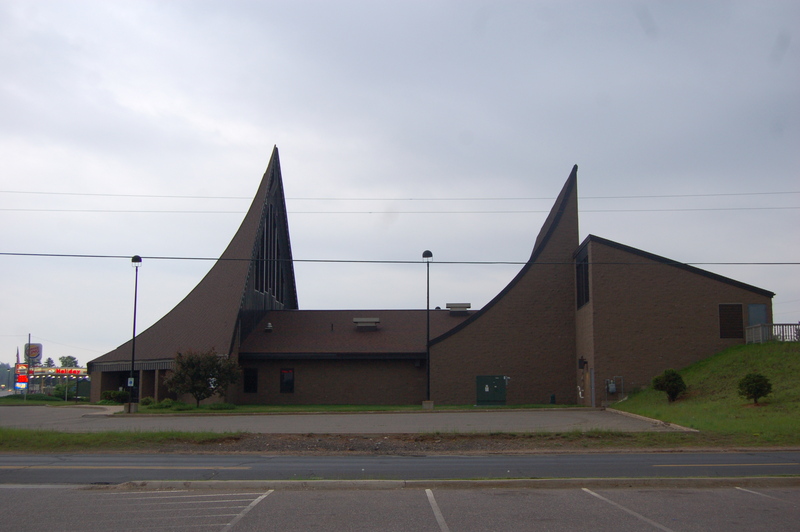 U.S. National Ski and Snowboard Hall of Fame (Ishpeming) – It may surprise some to learn that the U.S. Ski and Snowboard Hall of Fame is located in Ishpeming in the Upper Peninsula. The museum is home to historical exhibits and an extensive library, and the hall of fame honors legendary skiers like Tommy Moe, Picabo Street and Jonny Moseley. 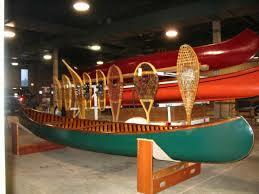 Michigan has a rich ski history and this museum honors not only our state but the entire country. 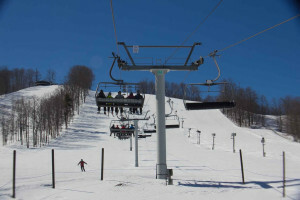 Head over to http://skihall.com/ for more information, hours of operation and admission rates. 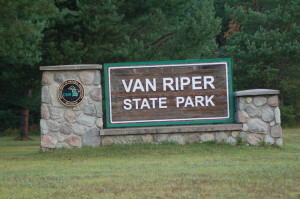 Van Riper State Park Lantern Lit Snowshoe Hike - On March 11, Van Riper State Park in Marquette County will host a lantern lit snowshoe hike on a 1.25 mile trail. 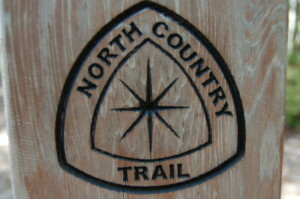 There will be warm beverages and a fire for after the hike – it’s the U.P. so there will most definitely still be plenty of snow! Winter Beer Festival (Michigan Brewer’s Guild) at Fifth Third Ballpark – The 11th annual Winter Beer Festival will feature close to 100 Michigan breweries and close to 1,000 different beers. Tickets go on sale Dec. 3 and usually don’t last very long. Head over to http://www.mibeer.com/winter-festival for more details and links to the ticketing site for this legendary two-day event (Feb. 26-27). 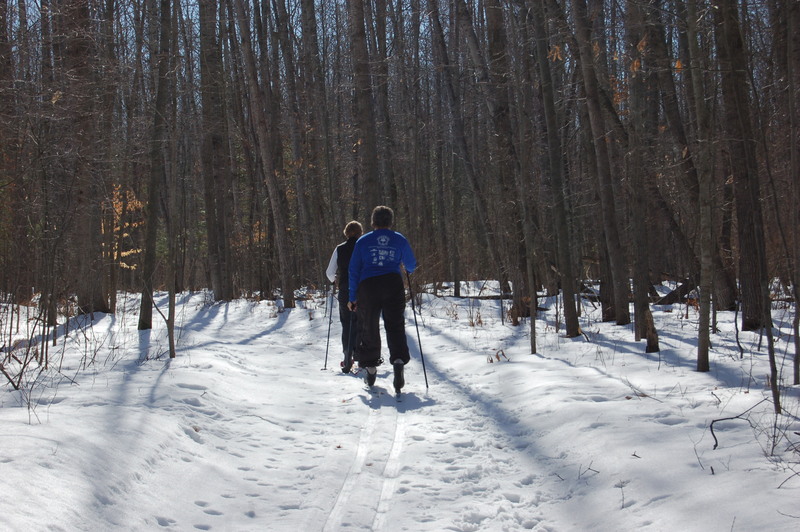 X-Country Ski Trails – Those looking for peace and quiet while getting a workout will find more than 3,000 miles of cross-country ski trails here in Michigan. 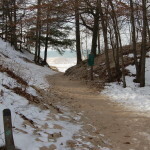 Popular areas include Traverse City, Gaylord, the Manitou Trail, Deerfield Nature Park in Mt. 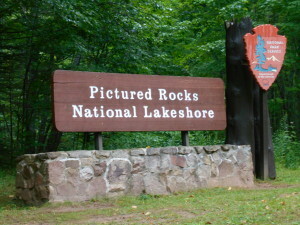 Pleasant and most of the Upper Peninsula (including Porcupine Mountains Wilderness State Park). Yankee Springs State Recreation Area Shoe Year’s Hike – The Chief Noonday chapter of the North Country Trail Association will host a “Shoe Year’s Hike” on January 1st at Yankee Springs State Recreation Area in Barry County. 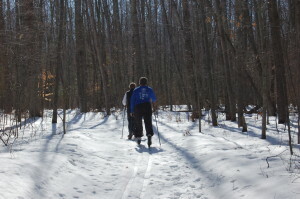 Snowshoes are not necessary to join the hike, and those joining are encouraged to dress in layers depending on the weather. 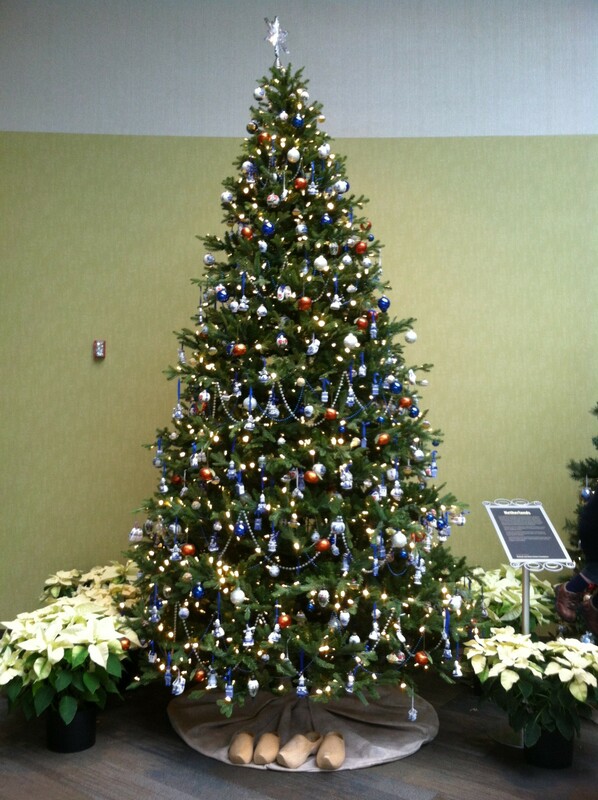 Zehnder’s in Frankenmuth – If you’re headed to Frankenmuth to visit Bronner’s World’s Largest CHRISTmas store, a great place to stop for food is Zehnder’s. This restaurant has at times been among the top ten in the country in size and it can seat 1,500 people. Known for its chicken dinners, this Michigan gem typically serves close to a million people each year. 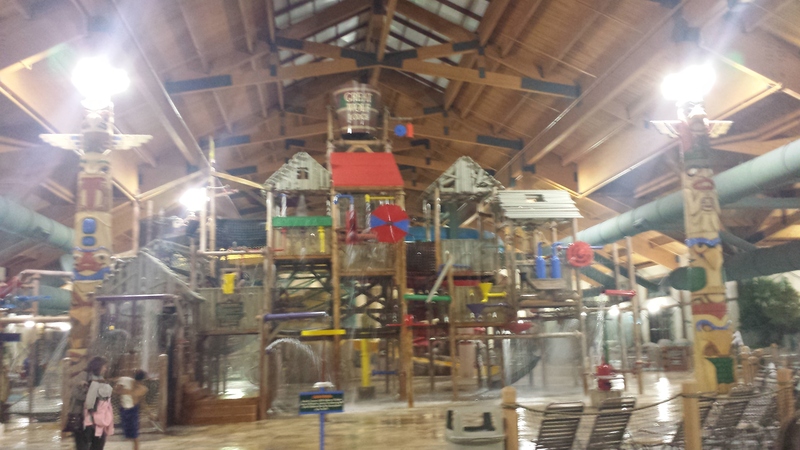 Consider a stay at Zehnder’s Splash Village Hotel and Indoor Waterpark as well.